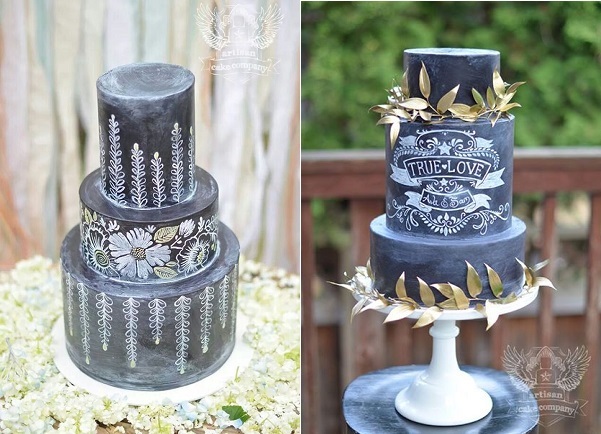 Chalkboard cakes are becoming one of the most popular design requests for cake decorators, especially for the vintage-rustic style wedding. 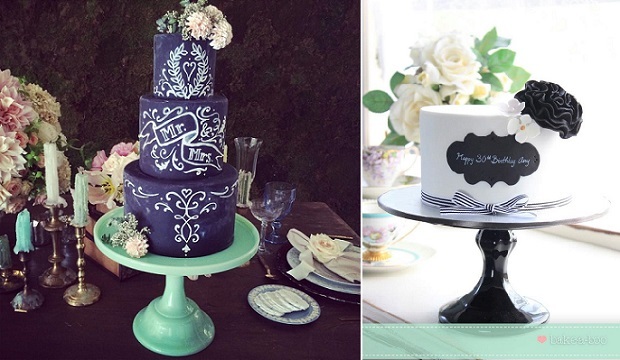 While chalkboard signage and papercrafts have been trending for weddings for a while now, it took the ingenuity of Liz Marek of Artisan Cake Company to bring chalkboard art to wedding cake design. 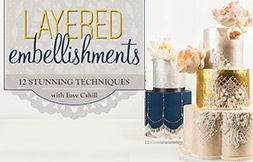 Liz’s much admired chalkboard wedding cake below has graced many bridal blogs and you can learn The Artisan Cake Company’s tips and techniques for chalkboard cake designs in their online class for CakeMade. 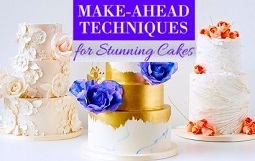 edible chalk tutorial for chalkboard cakes (two methods using white candy melts, plus how to paint on black fondant) by The Caking Girl. 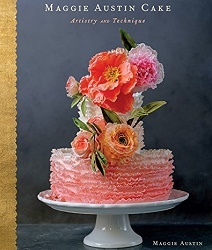 writing/painting on a chalkboard tutorial by The Artisan Cake Co.
how to make black fondant tutorial by The Artisan Cake Co. 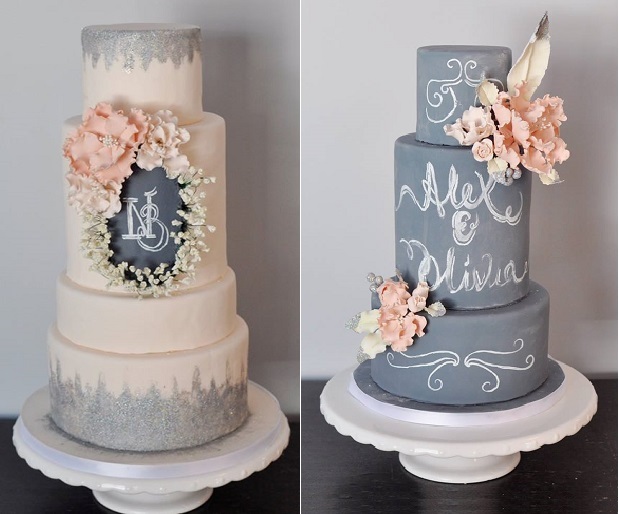 Starting with our feature cake above (left), this design was created by The Vanilla Bake Shop adorned with vintage style chalkboard art and rustic florals. 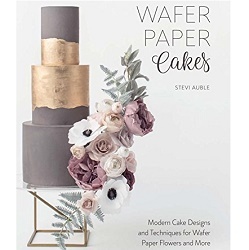 On the right, Bake A-Boo Cake Design have created a single-tier chalkboard style celebration cake with chic black and white accents. 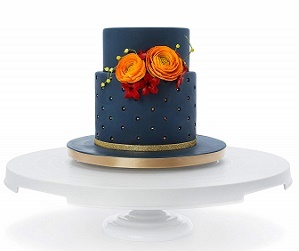 A stripped ribbon adds a smart touch and with an on-trend chalkboard plaque conveying birthday greetings. 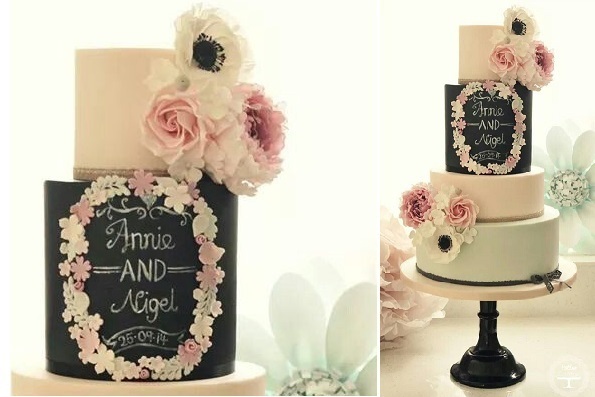 The Sophie Bifield Cake Company showcases an alternative to black icing for chalkboard cake desgins – slate grey icing, complemented with pretty pink florals in their beautiful, feminine designs below. 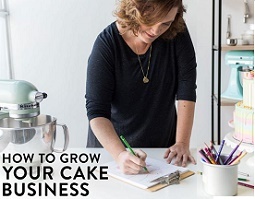 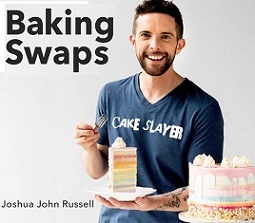 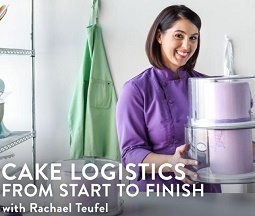 When Cotton & Crumbs are designing with chalkboard, you know it’s a hot new cake trend. 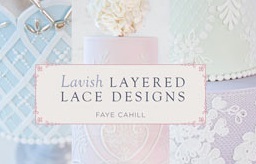 Below, Tracey James’ take on chalkboard chic with her trademark vintage style and pretty florals. 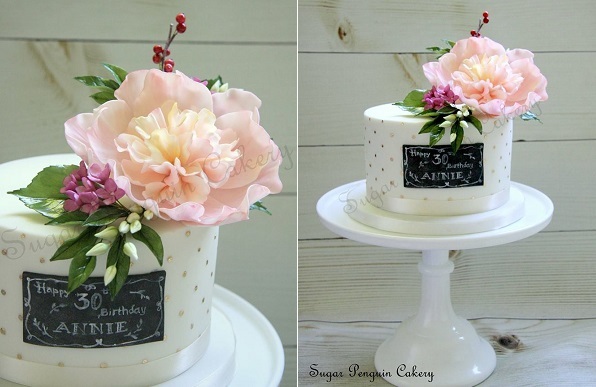 An elaborate soft pink sugar flower nestled in a bouquet of sugar berries, blossoms, buds and foliage adds a beautiful botanical touch to a rustic chalkboard birthday cake design below by Ivone Kartadinata of the Sugar Penguin Cakery. 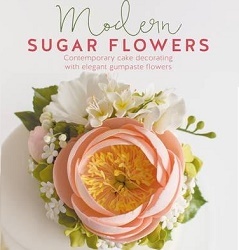 The “sugar flower of the moment” – the dahlia flower – makes a pretty, pink adornment for the customized chalkboard wedding cake design below left by the Little Malvern Cake Company, Australia. 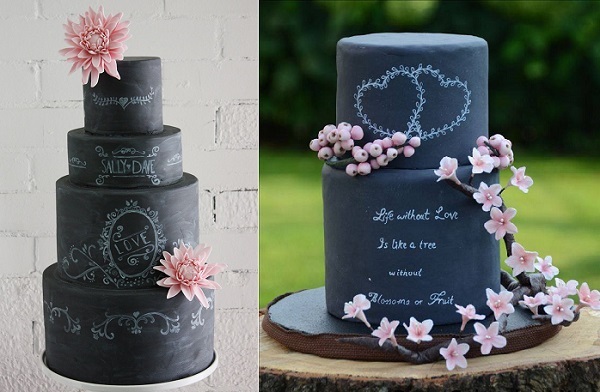 On the right, Pure Cakes by Mila have blended pink blossoms and berries with poetry and hearts in their romantic wedding cake design in on-trend chalkboard. 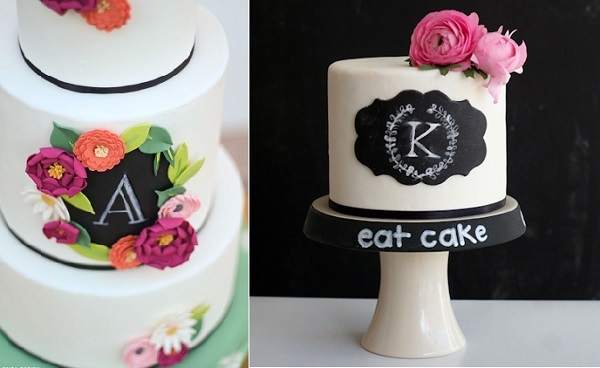 Sweet Bea’s pair garden-style florals and celebratory laurel garland drawings in their wonderful chalkboard wedding cake design, below left. 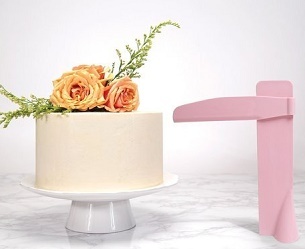 Drop string piping and gold accents bring classical elegance to the blush pink design (below right), in a deviation from the rustic accents usually paired with chalkboard cakes (image via Pinterest). 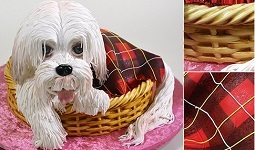 You’ll find more on drop string piping here: Piping Techniques, Part 2 – Drop String Piping. 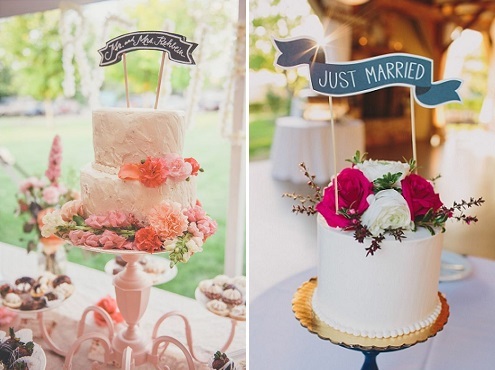 Liz Marek experiments with coloured chalk effects in her floral design (below left), perfect for a woodland wedding. 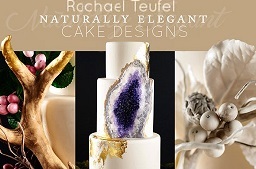 A striking tatoo art inspired design features on the right, complemented with gold foliage, also by The Artisan Cake Company. 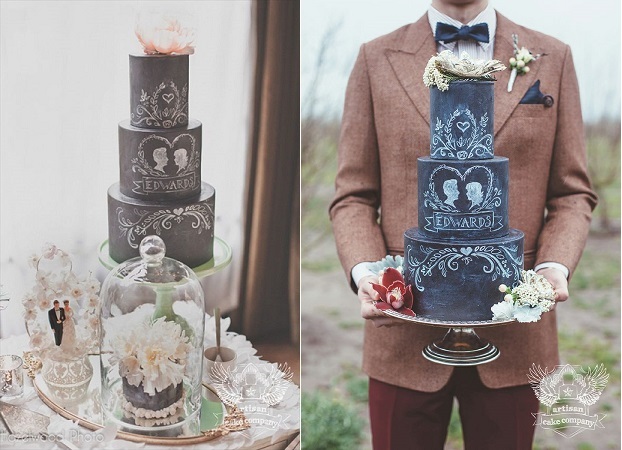 If black icing involves a little too much of a walk on the wild side, you can can bring “chalkboard chic” to your cake design with a black and white chalkboard style cake topper, similar to the pretty designs below (image left from The Cheesecake Store via Wedding Chicks and right, by Lauren Fair Photography via Style Me Pretty). 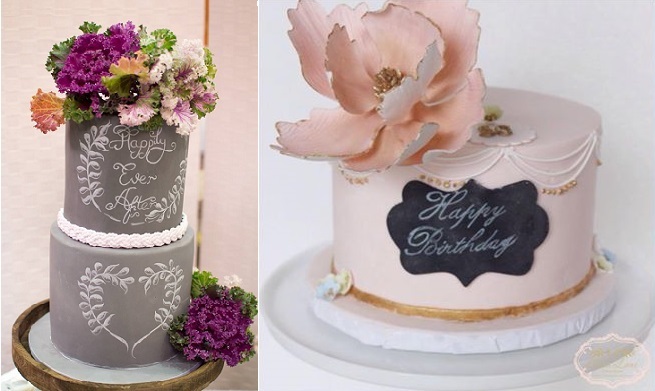 Whimsical, paper flower inspired blossoms in shades of burgundy and green with pops of pink and burnt orange, create a pretty floral frame for the chalkboard plaque in Erica O’Brien’s design (below left), with a simple one-shade floral adornment for her celebration cake on the right. 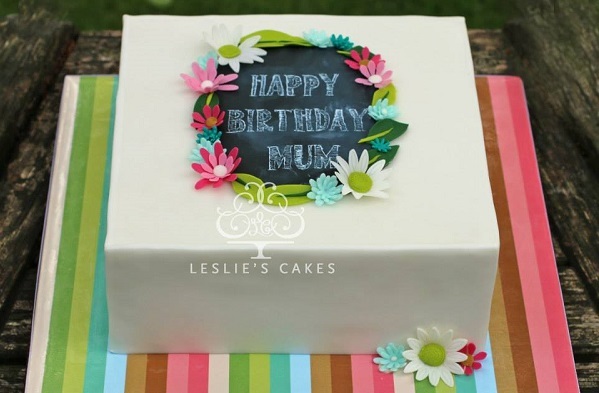 Leslie’s Cakes have added a pretty floral frame to their square chalkboard inspired cake below, accenting the design wonderfully with an striped cake board in complimenting colours.